No prizes for guessing what this Chinese restaurant specialises in. 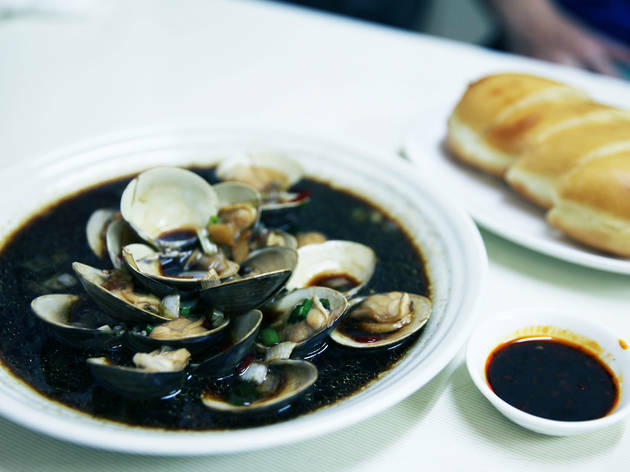 Located on a dinky alleyway in Kabukicho – you basically have to walk through the outdoor kitchen to enter – Shanghai Xiaochi serves up a wide variety of delectable Shanghainese dishes, as well as some more unorthodox offerings. Fried spiders, anyone? 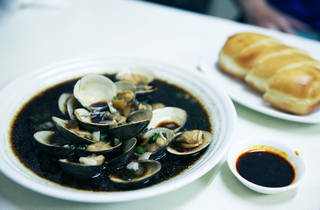 If you're not keen on trying one of these critters, go for the clams in vinegar, served with fried bread. Come with a small group, order a bunch of dishes to share plus a few cold ones, and you're good to go. You might even forget you're in Kabukicho and think you've been transplanted to a hole-in-the-wall in the city above the sea.